Hello Friends of Frugal Foodie Mama! My name is Kim and I blog over at Singledou[b]t! Today I am here to talk about my Etsy Shop, City Girl Creations. 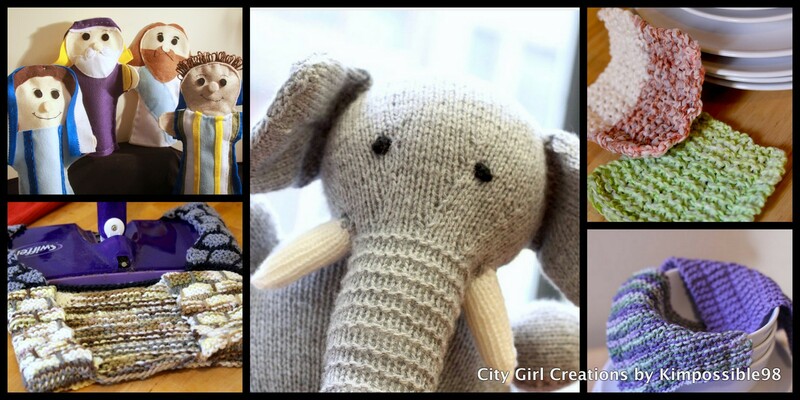 My shop started out as a place to showcase and sell my photography but quickly grew to other items such as my knitting projects and other creations. At City Girl Creations you can find items like these infinity scarves. Each scarf is hand knit by me and comes with a removable drawstring which ads extra versatility. 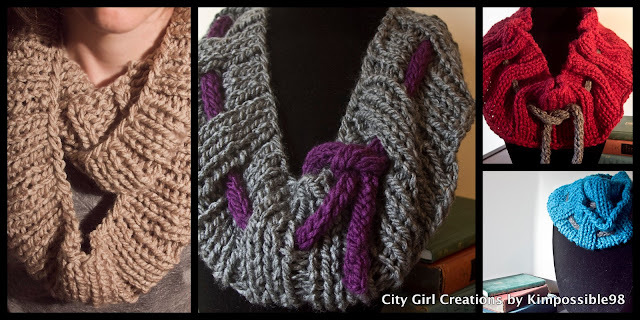 The scarves are available in SUPER soft acrylic yarn. 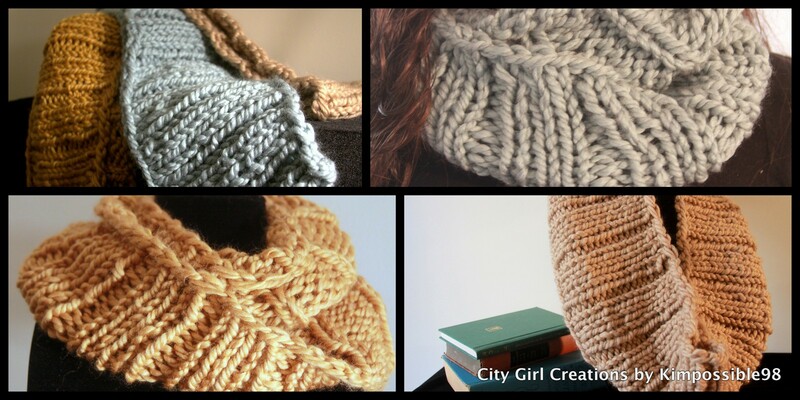 My newest addition to City Girl Knits are my wool blend scarves. Made with 50% acrylic, 50% wool super bulky weight yarn, this cowl is both soft and ultra warm. These scarves are available in a wide array of colors. And I can't forget my photography. A true passion of mine, my photos each share a part of what I love whether its the city I love and live in or the creation around me. Most of my photos are available in various sizes from 5x7 to 20x16. Everything in my store, from my scarves to my dish clothes to my photography make great holiday gifts. I work hard to make every item fit the recipient. My shop items are nicely packaged for easy gift giving. 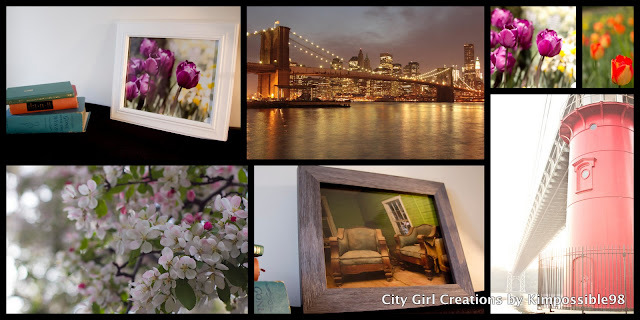 As you consider the gifts you will be getting for those in your life, I hope you will consider City Girl Creations! If you stop by my shop between now and November 16th, you can get 10% off your entire order. Simply use the code: FRUGAL10OFF. Follow me on Facebook, Twitter, and Pinterest to access sales & discounts for the holiday season. Keep an eye out for Black Friday and Cyber Monday sales. Now, lets get to the fun stuff! 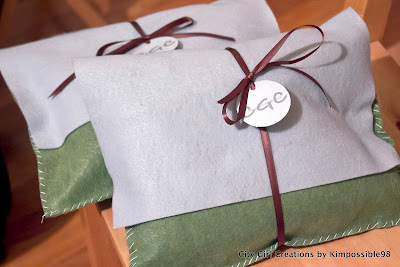 I am offering a giveaway to thank you for following Frugal Foodie Mama and for reading this post about my little shop! Thank you for checking out my shop! Thank You Carrie for having me! I can really use the reusable swiffer covers because I hate buying disposable cleaners but love the ease of the swiffer. Great idea. Thanks. Woohoo! Kim has takes great photos! I won one in a past giveaway. I LOVE it! It's the red lighthouse photo in the third photo collage. My favorite item in Kim's shop is EVERYTHING....but if I'm forced to pick I'm going to say the swiffer covers because I've been using my swiffer a lot lately. But seriously, I love everything. I also love her photos and I'm lucky enough to have a couple already! Love the Infinity Scarf in Stone, so cute!